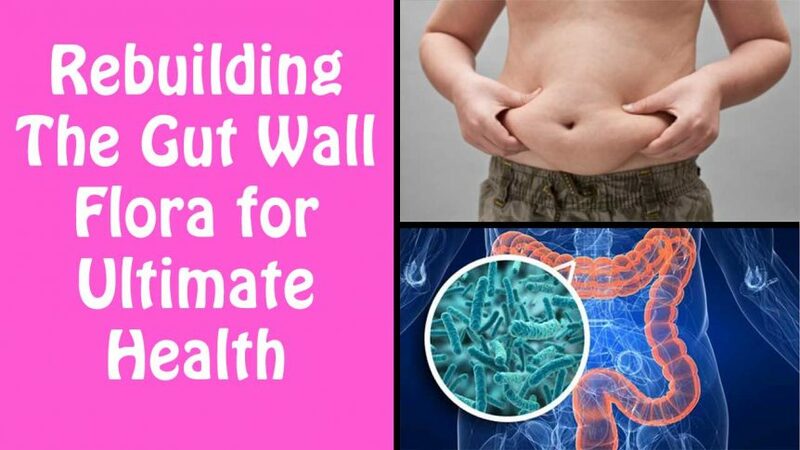 Rebuilding The Gut Wall Flora for Ultimate Health – Do You Have Any Intestinal Problems? Are You / We Ready To “Fix Ourselves?”. Are you tired of being “Sick and Tired”? Are we ready to become our Own Doctors / Teachers? Become Self / Group Responsible and have Critical Thinking? I would say that at least 90% of the people of the USA have many intestinal disturbances, diseases or dysfunctions from the young to the old. It’s time to put our “Smart Caps” on because most of us are sick and tired. This is a very important mini lecture to understand that your Gut Wall Flora are at least 80% of our immune system. We are going to show you how to become a farmer of the essential bacteria we all need to live in our bodies. These bacteria’s are what I call our “Personal Military” that live in the gut. The intestines control more than just breaking down our food that we eat. It is the most important part of the body to keep in check and to keep these creatures healthy. Why do people have a myriad of Intestinal Problems? IBS, Diarrhea, Constipation, Gas, Bloating, Extended Belly, Blood / Mucous in the Stools, Burping, Bad Breath, Terrible Smelling Intestinal Gas are a few symptoms of having gut wall flora insufficiency, or a very weak colony of vital essential bacteria in the gut. Terrain Modification has many protocols, practices and principles to learn and explore especially in the areas of detoxification and rejuvenation. If practiced these proven protocols will change your life for the better for sure. Make sure you ask you Doctor if you can get healthy, wealthy, happy and wise. It does take critical thinking and guidance to get started on anything that is worth learning. I learned these techniques of rebuilding the gut wall flora because I had massive problems with my intestinal tract for over 15 years. I am going to show you my Earther Kitchen and how to make Probiotic Bacteria all the time practically for free. Once you have made the ferments never drink below half of the jar so you can recolonize the bacteria with this recipe below. 1 cap full of Living Silica. 1 dropper full ( 10-12 drops ) of Concentrated Fulvic Acid. 1 ounce of Organic Non Processed sugar. Optional: 1-2 tbsp of Coconut Soy Sauce Alternative for flavor. Last step: Fill to the top of the Mason Jar with Distilled Water. I wait usually 1-2 days to brew on the counter and all of the sugar has been eaten by the bacteria and they replicated. Never need to refrigerate and they will last for ever. Always refill your probiotic jar when you have 50% of the material left still in the Mason jar. Once you make the ferment for the first time then you never have to add bacteria again to your ferment. What are you going to do before you get sick or labeled with a disease? If your intestines are sick then you are sick! Many of the parasites that live in the body, that you can see visually with your eyes, are living in the small intestines. Parasites can and will live anywhere they can. Most of the parasites do come from the gut first and then venture into other areas of the body and the mind from there.